There's nothing better than a book you can't put down—or better yet, a book you'll never forget. This book puts the power of transformational reading into your hands. 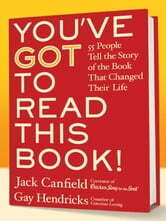 Jack Canfield, cocreator of the bestselling Chicken Soup for the Soul® series, and self-actualization pioneer Gay Hendricks have invited notable people to share personal stories of books that changed their lives. What book shaped their outlook and habits? Helped them navigate rough seas? Spurred them to satisfaction and success? 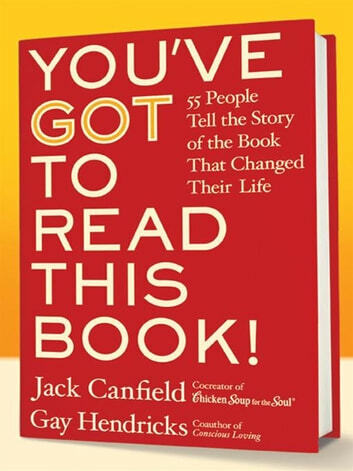 The contributors include Dave Barry, Stephen Covey, Malachy McCourt, Jacquelyn Mitchard, Mark Victor Hansen, John Gray, Christiane Northrup, Bernie Siegel, Craig Newmark, Michael E. Gerber, Lou Holtz, and Pat Williams, to name just a few. Their richly varied stories are poignant, energizing, and entertaining.Author and actor Malachy McCourt tells how a tattered biography of Gandhi, stumbled on in his youth, offered a shining example of true humility—and planted the seeds that would help support his sobriety decades later. Bestselling author and physician Bernie Siegel, M.D., tells how William Saroyan's The Human Comedy helped him realize that, in order to successfully treat his patients with life-threatening illnesses, "I had to help them live—not just prevent them from dying." Actress Catherine Oxenberg reveals how, at a life crossroads and struggling with bulimia, a book taught her the transforming difference one person could make in the life of another—and why that person for her was Richard Burton. Rafe Esquith, the award-winning teacher whose inner-city students have performed Shakespeare all over the world, recounts his deep self-doubt in the midst of his success—and how reading To Kill a Mockingbird strengthened him to continue teaching. Beloved librarian and bestselling author Nancy Pearl writes how, at age ten, Robert Heinlein's science fiction book Space Cadet impressed on her the meaning of personal integrity and gave her a vision of world peace she'd never imagined possible. Two years later, she marched in her first civil rights demonstration and learned that there's always a way to make "a small contribution to intergalactic harmony." If you're looking for insight and illumination—or simply for that next great book to read—You've Got to Read This Book! has treasures in store for you. Books related to You've GOT to Read This Book! Dare to Be Great: Overcoming Life's Challenges on Your Way to the Top ! If This Is A Secret Why Am I Telling It? Most Treasured Quotes Of 2013 A Quote for Every Day Reader Rated!